Five times a year we send you a Newsletter with information you want! Trust Us. No spam, no junk - just important updates on who is new, and market week last minute details or changes. The New Mart and LA Fashion is constantly evolving... It's best to keep a pulse on what's going on, and we encourage you to stay connected! 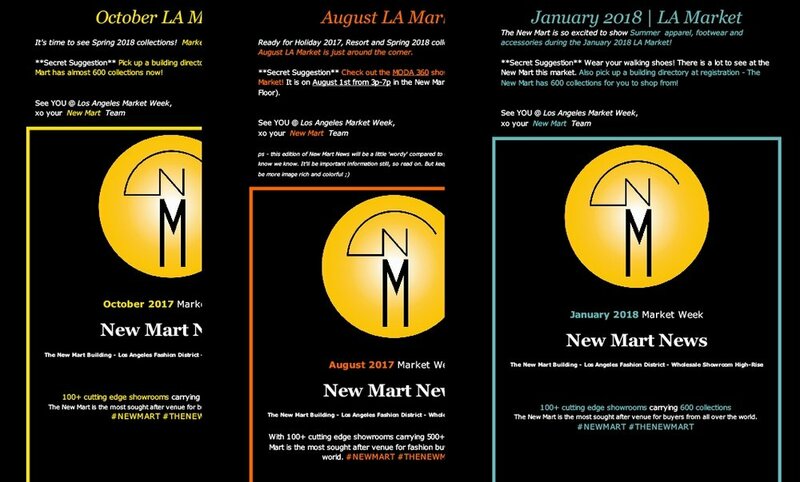 SIGN UP FOR THE NEW MART NEWS BELOW!